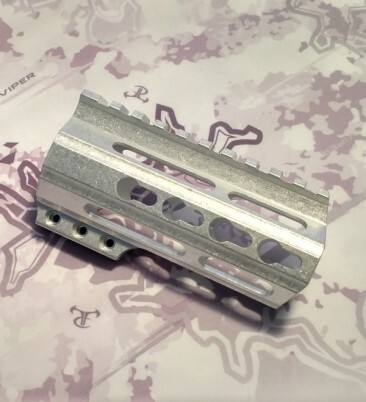 - Slim Keymod Rail Profile, Outside Diameter is 1.58"
Lightweight 4-Inch Free Float Key Mod Handguard machined from 6061 T6 Aluminum. Weighs only 6.3 oz. complete with black oxide steel barrel nut and features easy clamp-on installation. This slim keymod rail has an outside diameter of 1.58" and an ergonomic & slim keymod rail design that eliminates sharp edges. 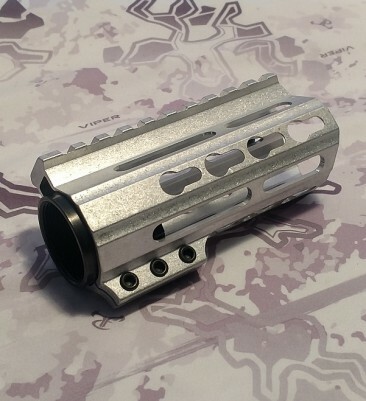 Our 4" free float handguard comes in the raw and is ready for your custom color to match your build. Genuine keymod slots with proper underside chamfer ensure the secure attachment of keymod accessories that won't wiggle free. Made in the USA with a lifetime warranty. 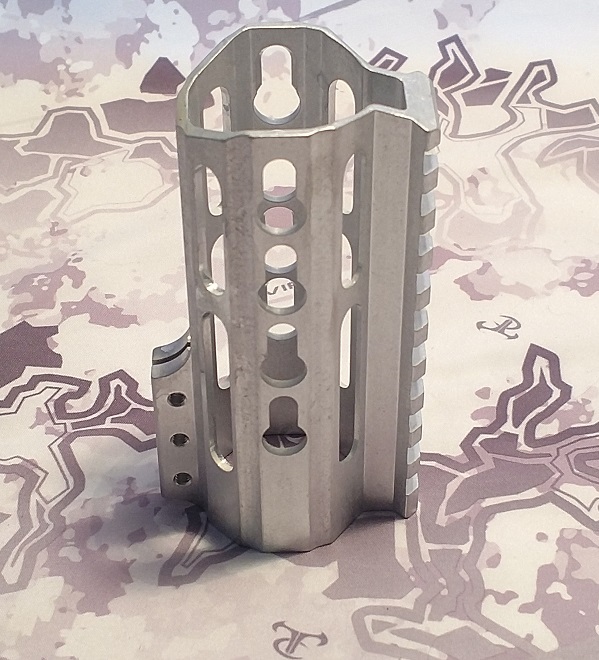 Checkmate Rifle Company has just improved this beautiful 100% made in the USA lightweight keymod handguard with a perfect fit and finish. Our Gen 2 handguard aligns perfectly with the top rail of your mil-spec upper receiver. It is absolutely beautiful, we guarantee you will be impressed! You won't be able to find a higher quality free float key mod at this price point. 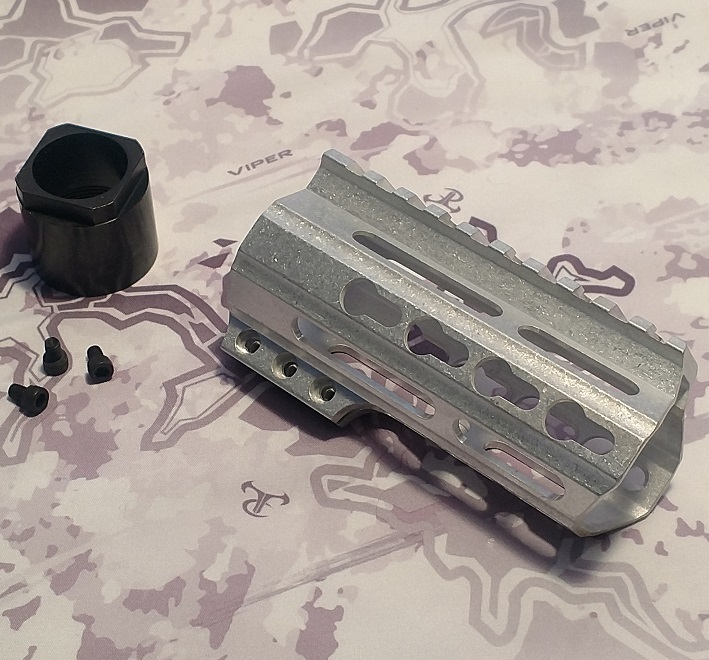 This is a 4" free float rail made from 6061 T6 aluminum that weighs only 6.3 ounces including the steel barrel nut and mounting screws. Don't be fooled by the cheesy Chinese handguards that are difficult to install straight and have inferior keymod slots. No clocking of the barrel nut is necessary! 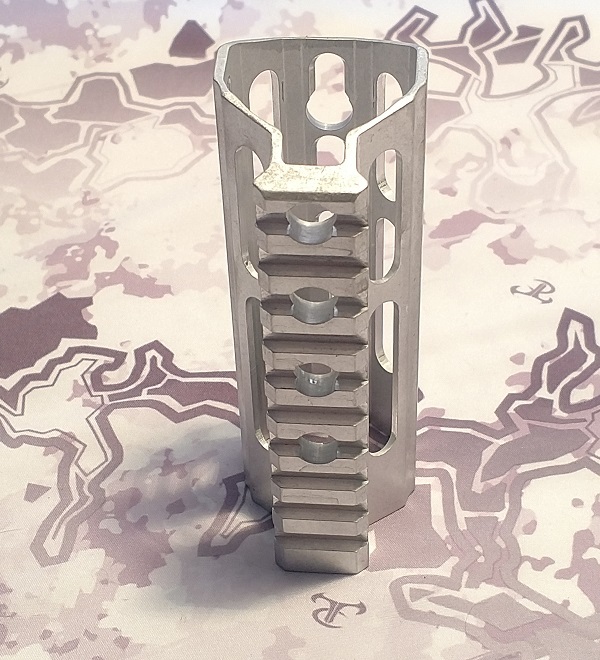 This handguard is clamp-on style for easy installation and alignment, and it has the proper chamfer on the underside of the keymod slot so you can use real keymod accessories that won't rattle loose when you shoot. This is a slim profile handguard that is slightly wider than most "super" or "ultra" slim rails. It is also machined to eliminate sharp angles so it is very comfortable to hold on to. Throw in some style with the "D-Cut" front end and this 4-inch free float handguard is tough to beat.